Government has granted town status to Mpandawana Growth Point in Gutu in a development expected to attract investment. The move would see the new Mpandawana town separated from Gutu Rural District Council with its own councillors and boundaries.Masvingo provincial administrator Mr Felix Chikovo told The Herald last week that the granting of town status to Mpandawana followed findings of a commission that was set up by Government last year to study the feasibility of upgrading the growth point into a town. Mr Chikovo said the commission also recommended adoption of the proposed boundaries between Mpandawana town and Gutu rural councils. “We have not yet received a formal letter from the Ministry of Local Government, Public Works and National Housing on that development (Mpandawana town status) but from the information that we have, the request for Mpandawana to be granted town status was approved. We expect to receive written confirmation soon,” he said. Mr Chikovo said Gutu Residents and Ratepayers Association wrote to Government a few years ago requesting the upgrading of Mpandawana into a town owing to the size of the growth point’s population. The request for town status was also inspired by the need to attract investment and setting up of modern facilities at the growth point. The turning of Mpandawana into a town will see revenue generated there being used to further develop the urban settlement through expanding infrastructure such as sewer and water reticulation, roads and even residential areas in a far more localised areas because currently revenue generated at the growth is being scattered to also cover a large rural area in Gutu,” said Mr Chikovo. 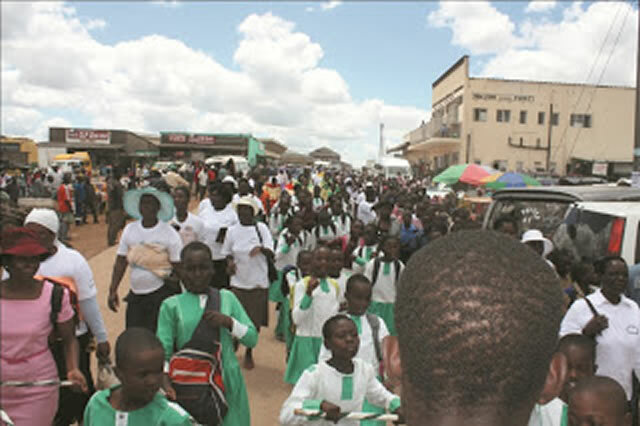 The growth point becomes the second town in the province after Chiredzi with Masvingo city as the provincial capital.